(Bloomberg) -- Summer is coming to Europe and that can only mean one thing. It must be time to send the continent’s excess gasoline halfway across the planet. “Europe is very, very long gasoline and there’s fierce competition for homes, whether it’s in the U.K., or whether it’s in the U.S. or Canada or West Africa,” said John Spencer, founder of consultancy Red Red Kite, who has more than three decades experience in trading refined fuels. “People will do odd things" when they need to find markets for the fuel. It’s impossible to make an external judgment on how profitable the shipments would be because there are too many variables involved, Spencer said. 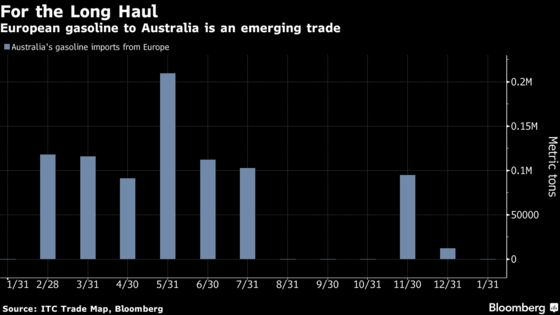 There are financial advantages to making winter gasoline in Europe’s summer and shipping it to Australia, he said. Between them, the tankers delivering the cargoes will probably burn something like 220 tons of fuel each day while carrying the gasoline, and about 160 tons when empty, according to figures compiled by Bloomberg based on data from Clarkson Research Services Ltd. If the carriers made a round trip, that would work out at about 19,000 tons of heavy fuel being burned. Long-distance freight is nothing new to shippers. In iron ore markets, cargoes from Brazil to China are one of the most important trade routes because of the millions of tons -- and thousands of miles -- involved. 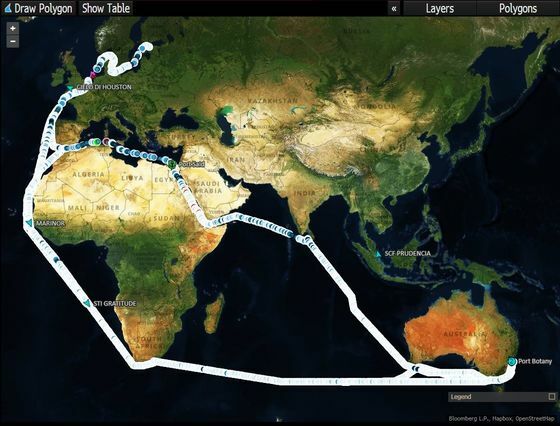 Likewise, jet fuel from Asia is now reaching Europe via the Arctic circle. Based on recent bookings, some of the vessels probably cost in excess of $1.5 million each to charter. The voyage to Australia from the Baltic Sea, where several of the ships sailed from, is almost 14,000 nautical miles -- the equivalent of about 16,000 regular miles.